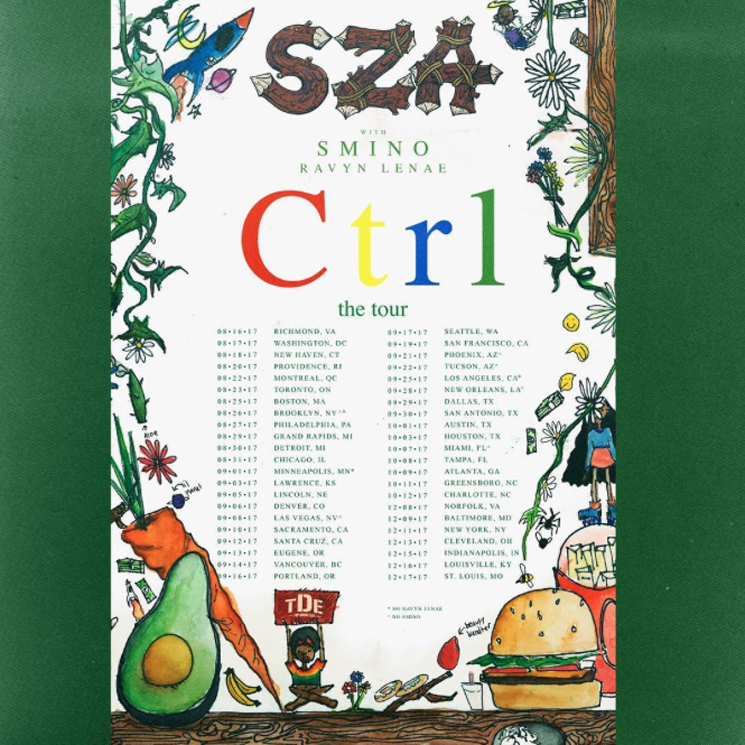 SZA delivered her long-awaited Ctrl LP last month, and she has now mapped out an extensive North American tour in support of the effort. Starting August 16 with a date in Richmond, VA, the tour will see the vocalist travel across the continent through September, October and December. The trek will feature support from Smino and Ravyn Lenae, with some dates including one or the other as indicated. Three Canadian stops are part of the tour's earlier stretch. SZA will play Montreal on August 22 and Toronto on August 23 before a Vancouver stop penciled in for September 14. The Canadian details are below, while the entire itinerary can be found in the Instagram post at the bottom of the page.